I was sent this amazing charging from Newtrent for free, This was absoultly amazing. 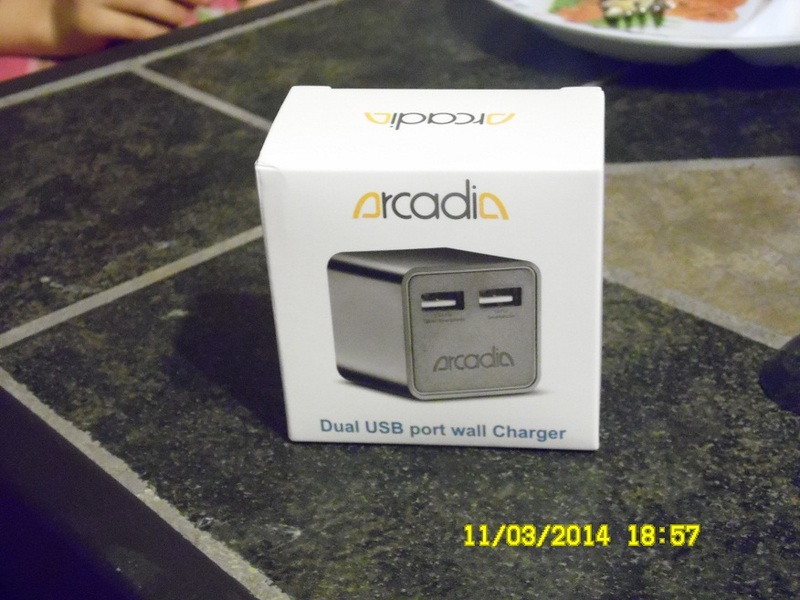 It is the Arcadia Nt90c wall charger. I says its mostly for smartphones(ex: apple, nexus, and htc) I have a smart phone, but I wanted to go further to see if it was capable of charge other products. As, the charging base consists of a usb port and the connector end that would fit into a smartphone. So, I took the chance and tried to see what other products it would charge with the 5v capability. Well I tried it on a few Android Tablets and was very pleased that it would charge them. I love products like this, I feel my electronics that are capable for this power supply outlet. I use this all the time at home, and when I am on the road I use this to my usb out let in the car. If I am in a hurry, I always have power banks on hand in the car. I feel safe with products out there considering, it cuts a charging process half the time compared to the straight outlets at at home. I like that they have power chargers like this one in particularly, that manages to help manage many electronics out there that require the 5v. I dont have anything to say bad about thiS, Its very worth it, price should not matter when it comes to your electronics, as they want to have a long life and not having to buy or replace another phone or tablet, maybe even a charger. This is completely amazing, I love having a nice charger that cuts the charging time in half. I recieved this free from New Trent and I am really looking forward to reviewing more.